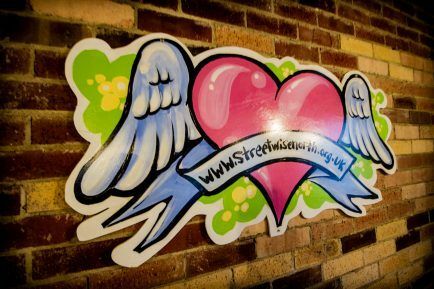 We’re not really in the business of picking favourites, but I’ll just go out on a limb and say it… StreetWise is one of our favourite charities in Newcastle. Teenagers love them for the outstanding service they provide, the warmth of the staff and their understanding of the issues facing young people. 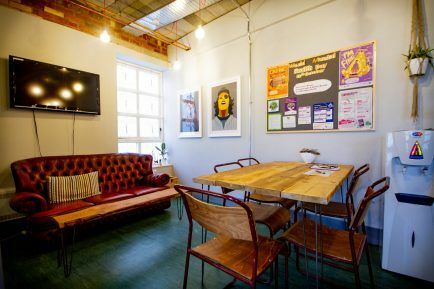 Roots and Wings have been in talks with the ever-inspiring StreetWise CEO Mandy Coppin for a while about giving their reception area a complete DIY SOS-style makeover. Well, late last month the time we had been planning for for so long finally arrived. 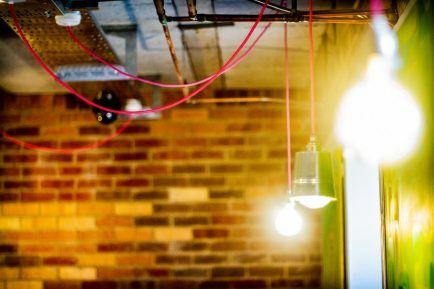 There was much sawing, sparky-ing, sanding, painting, glueing and screwing, as well as some more esoteric practices such as pipe-bending, and within the space of five days StreetWise’s reception area was transformed into a cool, industrial hang-out fit for a hipster king. There won’t be any hipster kings there though… Just lots of young people passing through in search of free confidential advice, counselling, and quite possibly, free condoms. 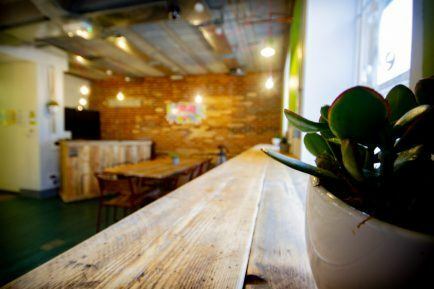 We’d like to thank all the StreetWise staff for the tea and coffee and trusting us on the refurb. 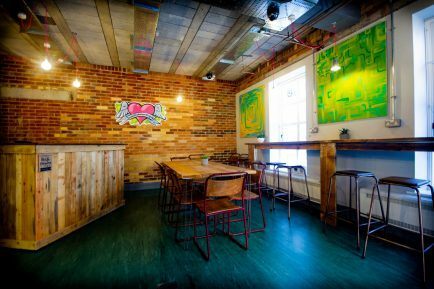 We’d also like to thank everyone who helped on the project, particularly the irrepressible Dave Underwood for his joinery skills and a Nick Knowles-level of can-do attitude without which the project wouldn’t have been possible. Martin Luther King’s ‘I Have a Dream…’ speech is undoubtedly one of the most recognisable soundbites of the twentieth century, but there’s another King speech that isn’t as widely known but which has a core message which rings just as true today as it did fifty years ago when it was made. The speech was given by Dr King in 1967 when he visited Newcastle on a whirlwind 48-hour trip to receive an honorary degree from Newcastle University, the only UK university to honour King in such a way during his lifetime. Delivered off-the-cuff and in unmistakable baritone, Dr King talks movingly about the three ‘urgent and great problems’ of our time – racism, poverty and war. The Newcastle Speech was almost entirely forgotten about until historian Brian Ward unearthed the footage in the university archives. Furthermore, this was to prove his last speech outside the U.S before his assassination in April 1968. 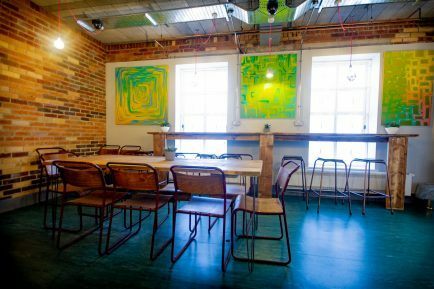 Now, fifty years after King’s momentous whistle-stop visit to Newcastle, a number of local organisations are working in partnership on Freedom City 2017 – a citywide programme of events across Newcastle to commemorate this little-known gem of North East history, as well as celebrate Dr King’s legacy. As part of Freedom City 2017, Roots and Wings was asked to produce a teaching resource pack to help bring this legacy alive for a new generation of young people and encourage them to think about the world in which they live and how they can change it for the better. The resource pack spans a range of subjects and is suitable for Key Stages 2, 3 & 4 including lesson plans and worksheets produced by local schoolteachers and university staff. The pack is completely free and available from the TES website where you can download the whole pack, or just pull out individual lesson plans. 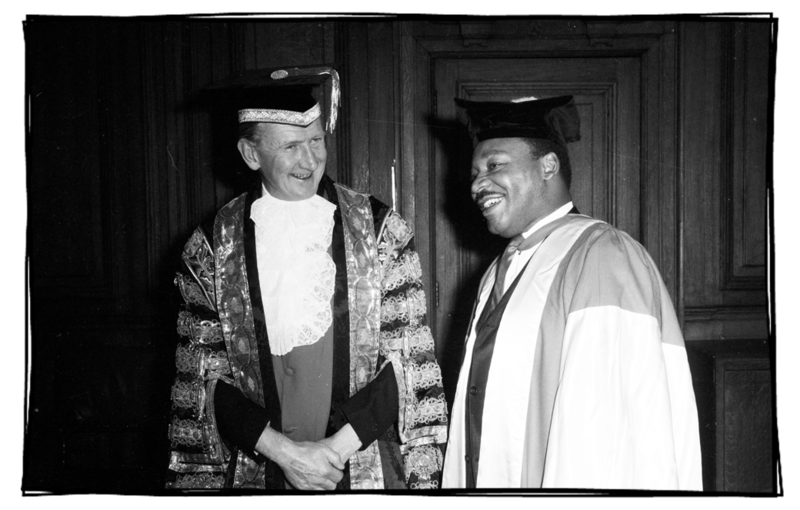 You can watch Dr King’s 1967 Honorary Degree ceremony at Newcastle University here, including the acceptance speech which begins at 2:22-ish. 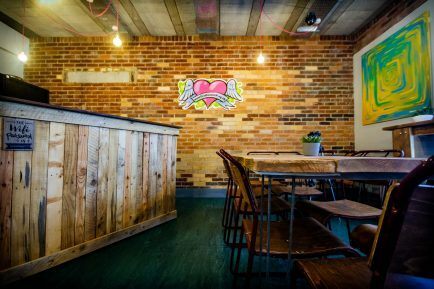 Now that Spring is nearly springing we thought we should probably do a little news post to let people know that we’re still here. We had a manic January doing some video & animation pieces for the Great North Museum’s current exhibition, Bones, which is open to the public for free until May and is well worth a look. As with all our previous work for the museum creating the content for the Bones exhibition was an education and we’d encourage everyone to go and see the exhibition while it lasts, before all the bones on display disappear back from whence they came… namely back into the museum’s underground archives. The exhibition is largely aimed at children but should prove interesting for anyone curious about how animals are built. And also fossils. Lots of fossils. 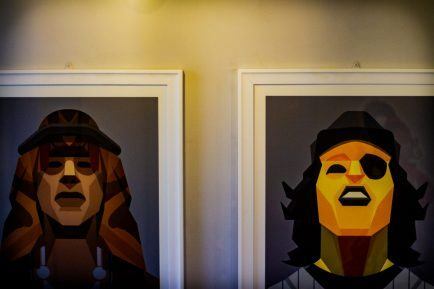 The second thing that we’d like to mention here is our recent work with Chilli Studios, an amazing organisation based at the top of the Ouseburn Valley above the St. Vincent Community Centre. 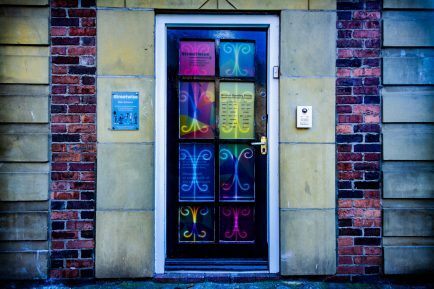 True to their mission statement (‘Creatively Improving Mental Health’), Chilli Studios provides art and music studio space to individuals with mental health issues from across Newcastle and has established a close-knit community of artists who express themselves to great effect across a huge range of mediums. 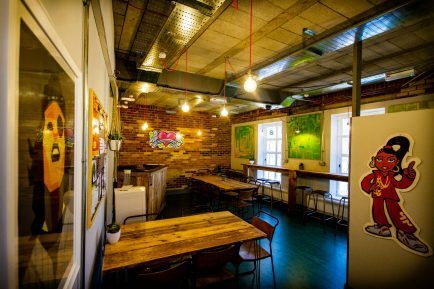 Now, to add to their offering, Chilli Studios have opened the Chilli Bizarre, their recently refurbished ethical Art Café, and we were happy to make an animation to help them spread the good word! 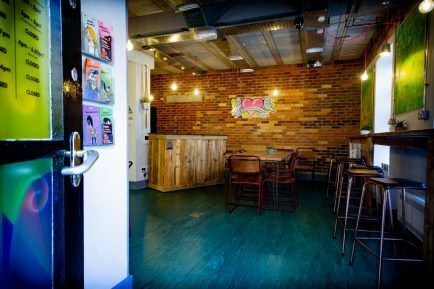 They’ve long needed a public space to display what they themselves refer to as ‘Outsider Art’ produced by their incredibly talented service users. All of the work on display is available to buy with all monies going back into Chilli Studios to help them further their community objectives. 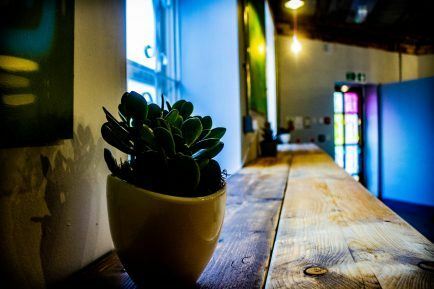 Please head along to Chilli Bizarre and feast your eyes on their wares over coffee and cake… delicious hot food is also available. 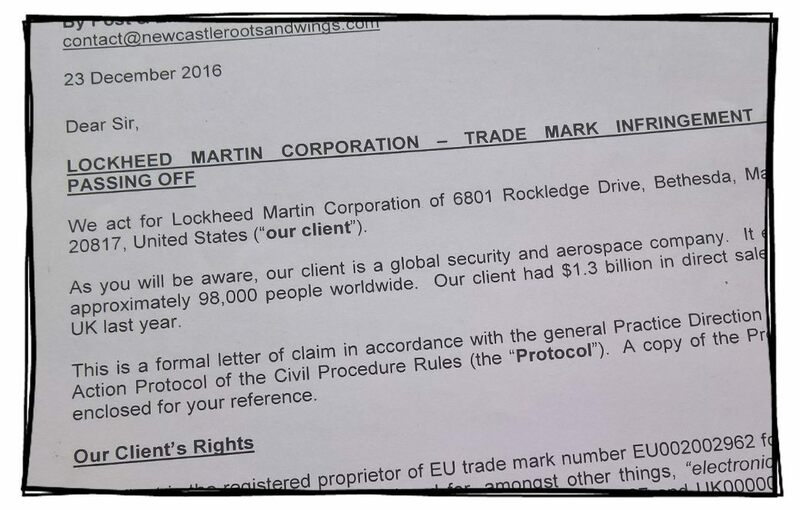 Lastly, it seems noteworthy that for Christmas we got a surprise in the post in the form of a rather weighty letter from the lawyers of global aerospace manufacturer Lockheed Martin regarding a trademark infringement. I’d describe the tone of the letter as firm but fair, and it was composed with all the thoroughness and precision you might expect from the lawyers of a company which designs and builds laser-guided missile systems. Needless to say, we didn’t really fancy entering into a legal battle so we did the sensible thing and complied with their requests. As such, all work on the Roots & Wings spaceship has been halted until further notice and we’ll have to wait a bit longer to take our multimedia design mission intergalactic. In February 2015 we spent a week filming in the Children’s Oncology Outpatients ward of Great North Children’s Hospital in order to produce a video to help raise money for the Future Fund, a fund aiming to raise £5.5 million to create a state-of-the-art centre for research into childhood cancer. During our week spent filming on the ward we got to meet many of the amazing members of staff and witness how the ward operates on a day-to-day basis. We also got to hang out with a number of the kids who were at varying stages of recovery – an eye-opening and moving experience to say the least. 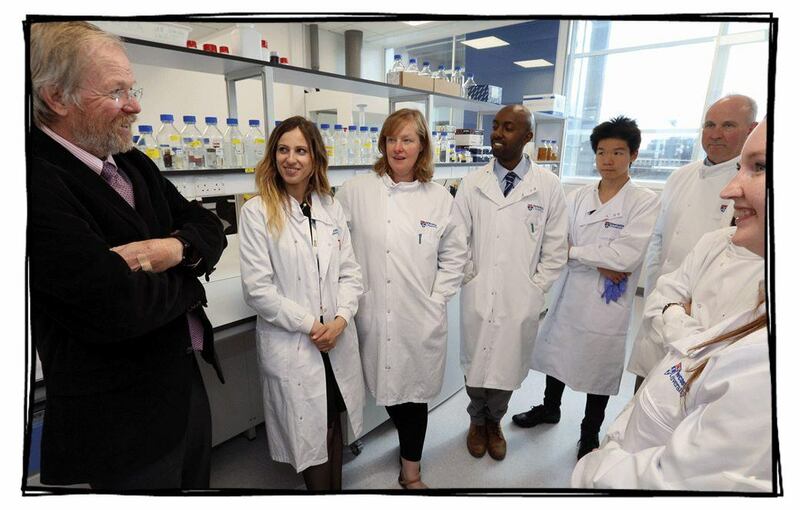 Well, almost two years on we’re incredibly pleased to announce that the new Wolfson Childhood Cancer Research Unit was opened on 16th September by renowned author Bill Bryson, a patron of the two year fundraising campaign. During his opening speech Bryson said that watching our fundraising video “brought a tear to his eye”, thus bestowing on Roots and Wings the dubious accolade of having made Bill Bryson cry. On a more serious note we’re just chuffed to have been involved with the campaign and to have been able to help the Future Fund reach its target. Now as the real work begins and the unit gets itself up and running, we sincerely hope it can continue to build on the fantastic research already done in Newcastle, which in turn can make a big difference to little ‘uns from across the region. 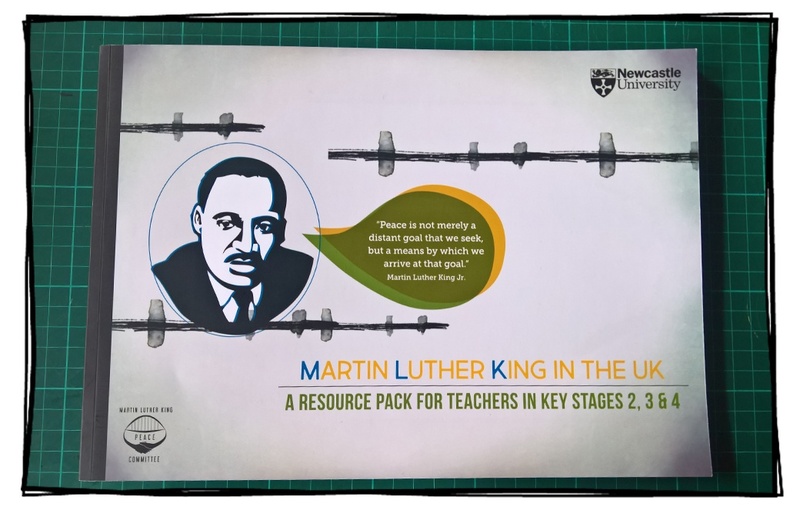 Two years ago we produced the Teaching the 1914 Christmas Truces Resource Pack for the Martin Luther King Peace Committee of Northumbria and Newcastle universities. The pack was uploaded to the TES website as a free resource for teachers to use to engage pupils with commemorations of the First World War, with a particular focus on the remarkable events of Christmas Day 1914. Since the resource was first uploaded to the TES website it’s racked up over 20,000 downloads across the two iterations (original and updated). It’s also received loads of 5-star reviews from teachers and has been featured in the TES NQT Newsletter. 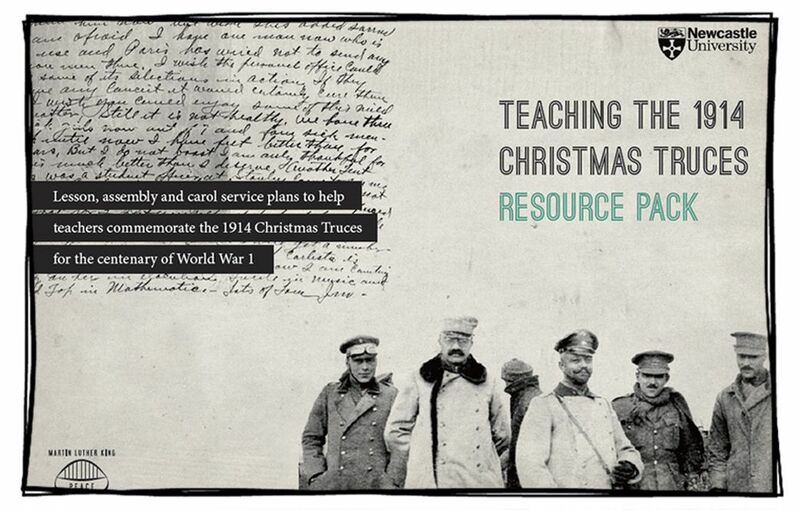 The resource pack is still freely available to download for use in the run up to Christmas 2016 across Key Stages 2, 3 & 4, and contains a wealth of activities and lesson plans across a number of subjects, including history, RE, art, ethics, geography, PE, cookery, home economics, French and German. 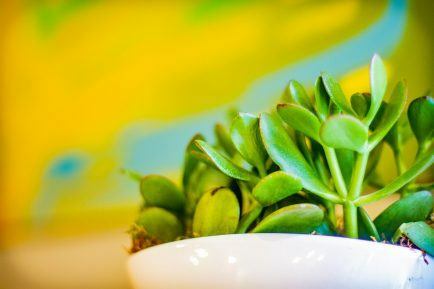 Roots and Wings is normally an organization that keeps well away from thorny political issues, but this spring it’s pulled on its swimming trunks and waded into the ongoing Brexit debate. Over the last couple of months we’ve been working with a team of academics from the universities of Newcastle and Durham to produce a short animation outlining what a Brexit might mean specifically for Northern Ireland It seems that despite a wealth of discussion and political mud-slinging regarding the fast-approaching EU referendum, there’s been precious little talk emanating from Westminster regarding a Brexit’s implications for Northern Ireland – the only country in the UK which, in the event of a Brexit, would suddenly find itself with an EU to non-EU land border. 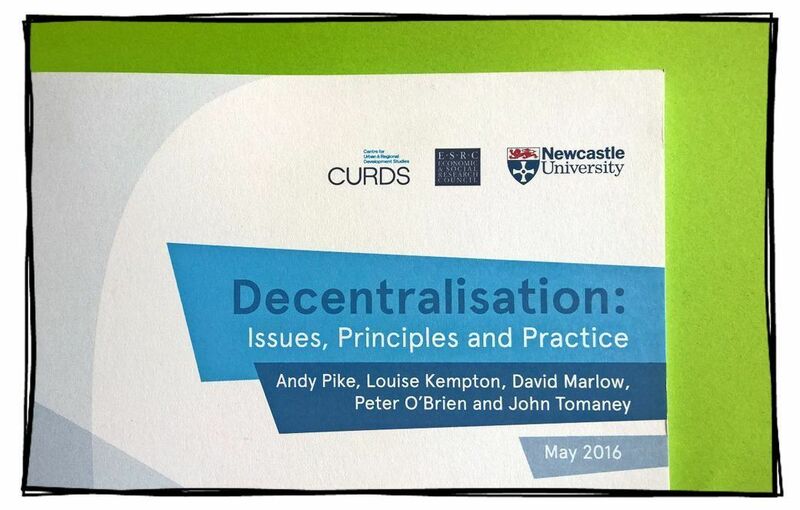 The Centre for Urban and Regional Development Studies (CURDS) at Newcastle University asked us to help them with the design of a report they’re just produced called Decentralisation: Issues, Principles and Practice. Decentralisation is a hugely complex issue and the report contains enough rarefied lingo to melt your face off. Roots and Wings designed the report and produced various infographics for some of the information contained within. The report is a clarion call for the creation of an independent commission and roadmap to guide any efforts to reroute power from central to local governments; a process which so far has been undertaken in a way that’s described by the report as ‘rapid, ad hoc and piecemeal’, with decisions being made behind closed doors by parties whose rationales remain unclear. 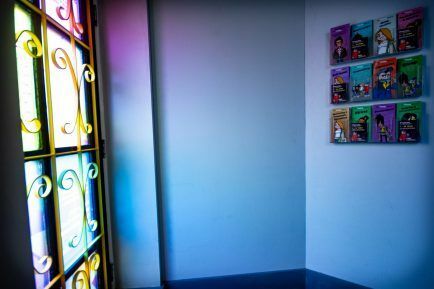 Two hundred hard copies were printed for the launch event which, in order to have maximum political impact, took place in –you guessed it – London. Very apt, given the subject matter. It was obvious that a lot of hard thought had gone into the creation of this report, and we’re happy that the authors were pleased with the design. 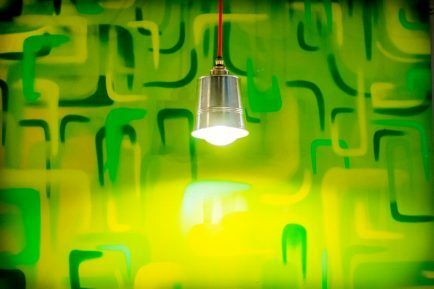 We hope it’ll go on to help convince policy-makers to drag the decentralisation process out from the shadows.